he Samsung Galaxy Note 4 is powered by a Quad-core 2.7 GHz Krait 450 (SM-N910S)Quad-core 1.3 GHz Cortex-A53 & 1.9GHz quad-core Cortex-A57 (SM-N910C) CPU processor with 3 GB RAM. The device also has 32 GB internal storage + microSD (up to 128 GB) and a 5.7-inch Super AMOLED capacitive touchscreen (1440 x 2560 , 515 ppi) display. It has a 16MP rear camera and supports Wifi, NFC, GPS, 3G and 4G LTE. It packs in a 3,220 mAh battery at 8.5mm device thickness and weight 176g, running on Android OS, v4.4.4 (KitKat). 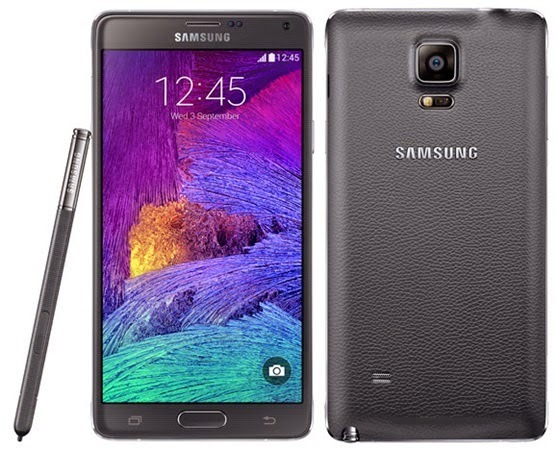 The latest Samsung Galaxy Note 4 price in Malaysia market is range from RM 2499 - 2599.